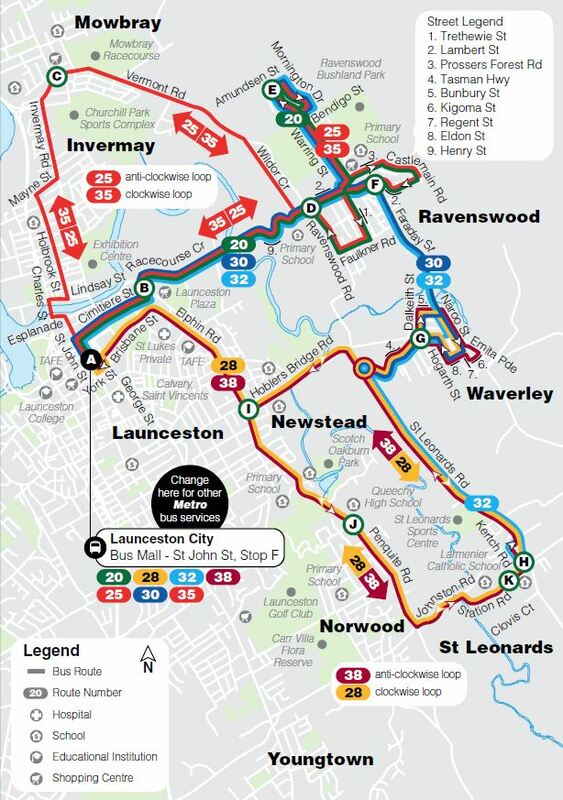 Bus continues to Launceston City via Ravenswood - Amundsen St and Kmart. Bus continues to Launceston City via Mowbray. Bus continues to Launceston City via Kmart.